Unique Group, the leading integrated offshore solutions provider, has recently delivered its first classed Hyperbaric Reception Facility (HRF) in South East Asia. The company’s diving & life support division, based in Singapore sold the HRF to global integrated subsea services business, Kreuz Subsea, with the inclusion of an additional pressure vessel. The system will be deployed for long-term operations in Brunei. 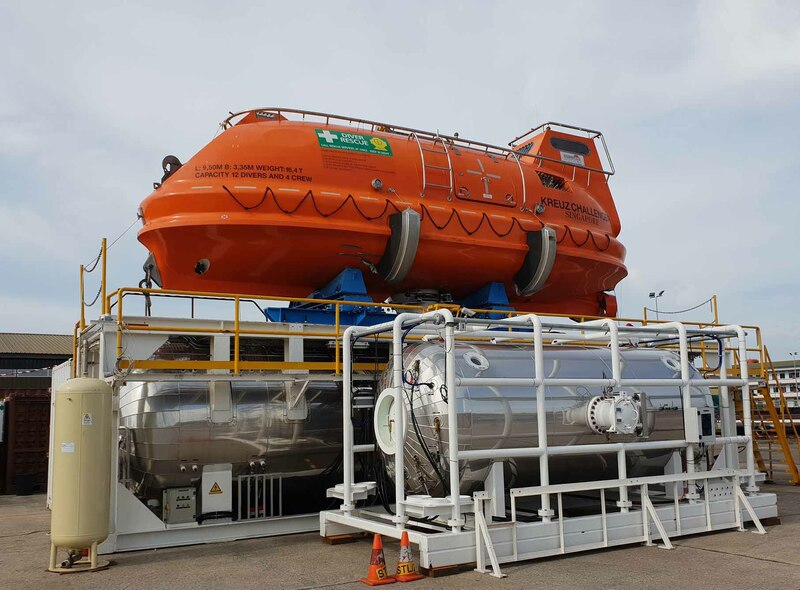 The innovative additional pressure vessel has been prepared by Unique Group’s engineering team in South Africa and integrated with the 18 man HRF at its base in Singapore. Auxiliary equipment has also been provided to upgrade the existing HRF control facility in order to harbor the pressure vessel as a hospital lock. Steve MacMillan, Regional Vice President for the APAC region commented: “Creating tailored solutions for our clients is a crucial part of our service offering. The team in Singapore successfully completed the delivery of the first classed HRF system to be sold by Unique Group. The complete system has been class designed and approved with full compliance to IMCA D053 standards for safe and effective diving operations. The inclusion of the hospital lock makes it one of the most preferred systems available in the market. Headquartered in Singapore, Kreuz Subsea was established in 2008 as an integrated subsea solutions provider to the energy industry. The company has built a strong portfolio of successful subsea projects and its specialised fleet of vessels deliver differentiated services to its customers globally.